By paleoaerie in Internet reviews on February 22, 2014 .
interesting, wonder if warning people away from these sites is really necessary. I have been reading all these dino books and history of the earth type books one was from Smithsonian, others such as the encyclopedia of the earth, some dino books like the illustrated encyclopedia of dinosaurs, and a few others, watching some documentaries such as discovery channel (I really like the one chased by dinosaurs with nigel guy). according to these books many of the pictures and actions and motions of the dinosaurs are pure speculation, they have very little information on their skin, what their organs looked like, warm blood or cold, whether they ate purly meat or not, how they hunted, it is pure imagination, they admitted it as such in the books, so if someone is using creative license to give their version of it, I see no problem with it, consences among palentologists is not science it is simply a group getting together agreeing on what the missing pieces of the puzzle are, based on speculation and opinion, the only thing we know for sure is how they were put together and looked when they have enough fossils to complete the puzzle. and what they possibly ate, herbivore or meat eater. frankly watching all these shows makes me think they are really reaching on how they lived and what the environment was truly like. I like reading and watching the films anyway because I find these animals interesting and I ask myself questions as I watch and read and draw them. it helps me to form my own opinions too of how I envisioned it, after all the book the visual guide of the earth ( a very big and beautiful book from the Smithsonian) said that any organic dating past 50,000 years is speculative.even the dating of when this or that animal or vegetation appeared is speculative also, but gives one some idea of probable order of things, this is one puzzle that will take a lot more study and research to separate fact from fiction. that is okay, as long as we remember most of dino research is opinion and not necessary cold hard facts we can run with it and have fun with it. Thank you for visiting the site! I hope you find it interesting and useful. Also thank you for your input. Hopefully my answer will tell you why I think it is necessary and important. Please let me know if you have any more questions or comments. As a scientist and educator, I consider it my ethical obligation to say something when I see incorrect information being presented as fact or as widely accepted theories when they are not, particularly when it can impact people’s understanding of larger, more important issues. Sometimes that annoys people 🙂 Moreover, as someone with children in school and knowing how under-prepared most teachers in schools are when it comes to teaching about fossils and evolution, I have an extra incentive. Very few teachers are trained in teaching biological concepts and even fewer are trained in teaching about fossils and the history of our planet. They also have very little in the way of resources. So they spend a lot of time trying to find reliable resources on the internet. Yet how are they to know which ones are valid and which ones are wrong? 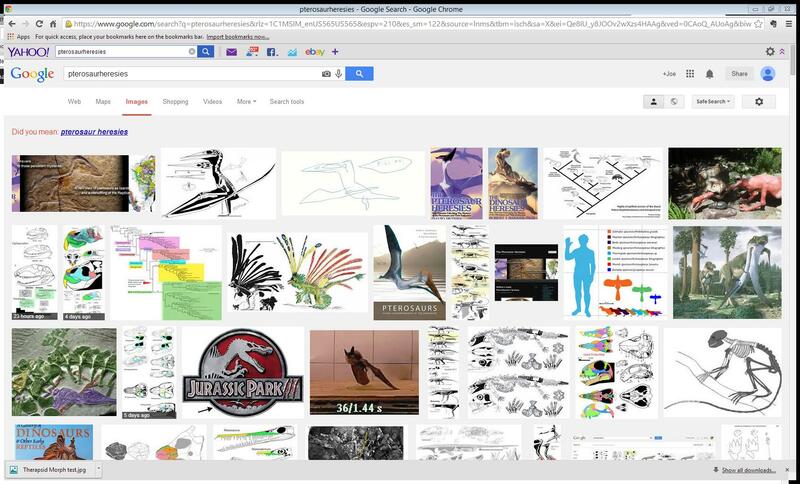 Without the training to professionally critique paleontology websites, they depend on others to do so. They depend on recommendations of which websites they can trust and which websites to avoid. Would you want the teachers of your children using resources that have been proven wrong? These websites are slick and look good, they draw the attention of a lot of people who have no way of knowing the information is wrong. Paleontology is certainly a science and it is more than just a group of guys getting together and deciding what they think is right as you state. It is based on much more than speculation and opinion, there is far more information than you think. Once you spend time learning about the great array of data from real experts (i.e. actual researchers doing the science) that is brought to bear on these problems, it becomes clear why warning people about websites like this is so important. 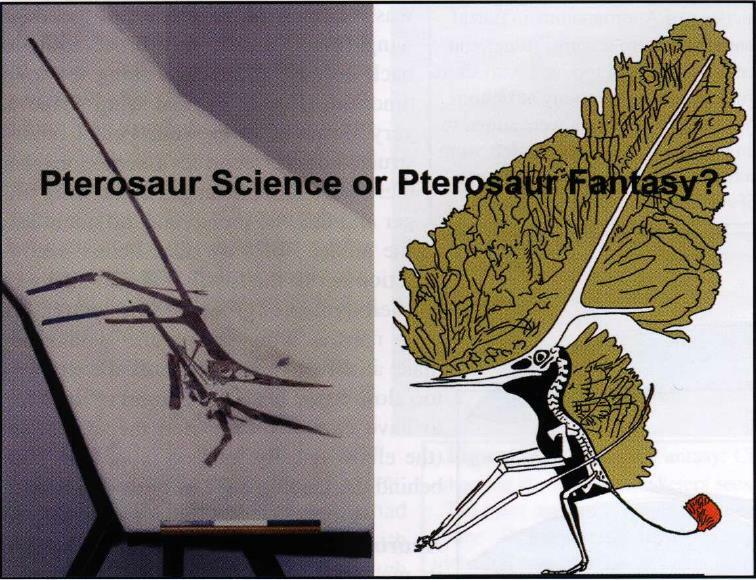 They give people a very wrong idea of what paleontology is all about. One of the goals of this site is to get people to realize the huge amount of serious misinformation on the internet, that documentaries on the Discovery Channel, Animal Planet and others are riddled with errors that in many cases horribly misrepresent the science. To be quite frank and please forgive me if this sounds harsh, but I hope you realize how condescending and insulting your opinion of paleontologists, biologists, chemists, and physicists is (yes, there is a lot more to paleontology than digging up fossils and guessing what they are). I am sure you would not appreciate people coming into your work and saying you don’t have any idea what you are doing, that you are simply guessing your way through the subject you have spent a lifetime studying. But I can understand how you would come to that conclusion, you are given that impression in so many places. Unless you dig into the primary literature yourself and spend a lot of time at it, how are you to know that you have been given a skewed impression? What reason would you have for doubting the information Discovery Channel brings you? I have kids come up to me and ask about mermaids and will they be attacked by Megalodon if they swim in the ocean because they’ve seen “documentaries” on them, never realizing that those documentaries were fake. How are you to judge what is acceptable science and what is wrong? You can either study it yourself in depth, taking years to get up to speed, or, you can listen to people who have. See what they agree on and disagree on. The problem with the websites are that the techniques used to derive the information have been proven to be false. It is one thing to disagree about opinion and I agree that very little in paleontology can be proven. But what we CAN do is prove things false. We can study hypotheses to see if the data supports them or not. In this case, many people have looked at the data and interpretations and can conclusively state they are wrong. If it was only about opinion, no one would care. It would be just as good as any other opinion and no one would say it was wrong. We might say we disagree, but that would be as far as it went. However, we can do more than simply disagree with these websites. We can PROVE they are wrong. So, when you see something that you can PROVE is wrong, is not just an opinion but actual fact, particularly something that impacts their understanding of much larger issues, and yet many people around you think is true, what do you do? Do you consider it an ethical obligation to tell people when you see something presenting misinformation as accepted truth? Or do you sit back and say it doesn’t matter that people are being misinformed? I stated my position on that at the beginning. On a final note, while it is true that carbon-14 dating is limited to about 50,000 years, that is only one of many different forms of radiometric dating. There are several that are considered reliable for 100s of millions to billions of years. (I am trusting the work of the nuclear physicists on this because they have made several things work based on those exact same theories, such as nuclear power, MRIs, PET and CT scans, and many more. Did you know that many home smoke detectors use a tiny bit of radioactive material, too small to harm anything, but sufficient to make the detector work? The point is that they have proven their theories reliable in testable, in-your-face ways, so I have no reason not to accept their results on radiometric dating.) Thus, while it might be impossible to date the actual fossil using original carbon, it is certainly possible to date the rock that encases it or the minerals that infiltrate it. One of the most common ways of dating fossils is to find volcanic ash beds above and below the layer of the fossil and uses reliable radiometric dating on those, giving you a constrained range that can be done reliably all the way back to the beginning of the planet. It is not guesswork or opinion, but based on high level physics that has proven itself time and time again. Radiometric dating is also only one method (although the only one that gives good absolute dates farther than several hundred thousand years). There are many other methods, but that would be an entire treatise to go into that any further. So for now I will just leave it with saying that no scientist takes a single measurement or measurement technique as the final word. The more measurements and the more different ways of testing something, the more likely it will be accepted. One measurement using one method will always be taken highly skeptically, which leads us back to the websites, which use one technique already proven to be wrong, so the interpretations based on faulty data collection methods have also turned out to be wrong or at the very least highly suspect. Thus, people need to know, especially as dominant as the internet search engines make it. I am not putting any science down, I have been saying what I have read in science books about dinos, not just discovery channel or bbc documentaries, I realize they are using a lot of imagination, but as long as people are told that what they are watching or reading is speculation or fictional to some degree then I see no problem, it is only a problem when they treat it all as fact without telling the audience that they have used creative license in their ideas of what they are presenting. as for dating, you do realize that dating is imperfect, humans are imperfect and limited in their knowledge since we only live for 70 or 80 years and were not around or keeping records for millions of years, it would be nice if paletologists would please remind people these figures are only a estimate or guess, not exact, we know millions of years have past with different animals rising and falling, but saying this or that animal existed 100,000,000 millions years ago is pure speculation, you can’t really base on present values, for example, we know that the continents move at a certain speed, and we can guess how long it will take for them to move from postion a to position b, but who is to say the movements were always consistent? maybe millions of years ago they moved faster? slower? we have to be careful when dealing with human wisdom, we can get measurements, and yes they have a lot of data, I am not disputing that, it is the interpretation of that data that is open for debate or discussion, I like science myself, I am not speaking against it, just humans who may be not be giving their interpretations of the data to much credence, a lot of what is said is probably true, we know millions of years of animals appearing and all, even some idea of what the landscape was like the temperatures maybe? but lets be realistic, humans can only go by what they find and we have to be careful of false interpretations, it really is a learning process, and honesty is the best policy, we can say we believe this was the case of this or that, and shame on those sites you speak of who do not let the audience know of the speculation and artistic license they have taken In their presentations. also we have to remember it is many people in science who says that life evolved by chance, non living matter some how developed dna and started to reproduce, (I mean really? some non living molecules got together and all of a sudden developed life? )all without devine direction of any kind, that animals somehow decided what changes they needed to make to adapt such as fins to legs or vice versa, I mean we aer talking about some major chances that dna would have to make, and how would dna know what the animal will need in the future? that would require self awareness and intelligence to do so. but this is not allowed in their interpretation, so please forgive me if I am skeptical of scientists who present fictional stories as fact. what interpretations and teachings of them whether medical sciences or paletology or biology, or other sciences has a profound effect on people’s understanding of things and this can have good or bad effects depending on the information and truthfulness or lack there of, it can affect decisions people make that can have harmful or beneficial affects, science like any other human endeavor is a double edged sword that can be used for good or bad (like scientists who use their vast experience and knowledge to create more and more deadly weapons, who are preists of death but do not consider themselves as such, these type of people are very dangerous to real science, lack of honesty and integrity. these preists of death are very dangerous to all life on the planet. some scientists are like the professor on gilligans island, they really do care about finding truth and using it to benefit people not harm them, but unfortunately not all are like him. I do hope your like him, honest in your endeavors at science and do applaud your efforts to warn people from sites that are not honest in their presentations. You make some very good points and I agree we need to be clear about what is speculation and what is not. You should be skeptical of anyone who claims to have all the answers, not just scientists. My answer to you was getting long and involved things I believe are worth more people reading about than will read a long comment, so I am going to post it as a blog post in and of itself. For here, I do want to address a couple of things though. No scientist would ever say we understand how life started. To clear up one huge misconception people have, the theory of evolution does not even address it, it has nothing to do with evolution. For how life started, there are several hypotheses about certain aspects of how it might have developed that have testable predictions, but for now, the ultimate origin of life IS pure speculation. We may never get passed the point of saying here are some ways that it might have started, which is where we are right now, but we might, I can’t predict the future. If you ever hear on TV someone saying science knows how it happened, you can be rest assured no scientist said that. If a clip makes it look as if they did, their words were taken either out of context or edited in such a way as to have the scientist sound like they said something they didn’t. Yes, I have seen it happen. I have seen interviews in which a scientist will openly state no one knows, here are some ideas that people have come up with and we have thus far proven hypothesis X and Y incorrect, so now we are examining the others; but have the final interview clipped so that the only thing that is broadcast is him mentioning a particular hypothesis, with no indication he actually said they know it to be wrong. The upshot of all this is don’t trust what you see in a documentary without checking other sources. You can even contact the scientists themselves. As long as you ask specific questions about a topic, the vast majority of scientists will be happy to answer your questions. Just don’t ask them overly broad questions, such as explain everything having to do with evolution or explain everything about dinosaurs or the Big Bang or what have you. If the answer involves writing a series of books, they won’t answer at all or will at most simply tell you that they can’t possibly answer such a broad question meaningfully. Pardon me, but Priests of Death? I don’t think you are talking about scientists here. I don’t know who you are referring to with that statement, but it is not scientists. Perhaps you are referring to defense contractors, business people who profit from making and selling arms? You have every right to have an issue with them, but I fail to see how that has anything to do with science. Science is a way of thinking about and gathering knowledge. It does not define how it is used. That is up to people to figure out for themselves and many times they take a less than humane path, that is part of being human. I agree, science is a two-edged sword, just like pretty much anything else. Take for instance, religion. Religion can be a profoundly positive influence for a lot of people and has driven many, many people to do great works. It is also used as an excuse for profound hate and has caused the death and persecution of hundreds of millions of people. I am not trying to knock religion, I am merely pointing out that anything can be used for evil purposes. It is our job as individuals and members of society to try to prevent that no matter the source, whether it be science, religion, business, or what have you. good points you make, defense contractors and the like use scientists to engineer chemical and biological and other weapons, it is not some back yard guy, but it is good to know if I can come up with specific questions scientists will answer, will keep this in mind if something is really bugging me, as for evolution just about every dinosaur book documentary etc speaks of this by simply stating the animals evolved into bigger animal or hands changing into fins by water dwelling reptiles, so this evolution thing is there constantly. it is treated as fact, anyway glad you were able to teach me some things, and as for religion yes it is used as a weapon of oppression and control by the poltical elites all the time, this I must say is a disgrace, and this is putting it mildly and I was impressed when I read this little exerpt that some scientists tried to push a fake missing link between birds and repiles scales to feathers, which other paletologist found to be fake, good for them, keep up the good work friend.. I only wish that someone, someday will actually critique something that is actually in the website reptileevolution.com or pterosaurheresies.wordpress.com. Darren Naish and all subsequent detractors have only pulled images out the trash, rejected images from a decade or more ago. The core of both sites is the cladogram at http://www.reptileevolution.com/reptile-tree.htm. If the methods are flawed the results will be flawed. The challenge to you, and everyone else, is to look at the cladogram and tell me two taxa nested as sisters that should not nest together. I’ve done that with the work of others and it should be easy for you to do the same. So far, the challenge has not been accepted by anyone, including Darren Naish. Look at the site. Don’t parrot the propaganda. Take the challenge. Thank you for taking the time to visit the site and comment. I have great respect you as an artist and your clear passion for the field. I am sorry you think I am just parroting information by others. While I did reference other people’s work, I have looked at your methodology and conclusions myself, including your cladograms. I reached my own conclusions. My statements, while certainly influenced by the statements of others, are my own. I am puzzled why you say that no one has taken up your challenge of telling you which species in your cladogram should not be nested together. Darren Naish, Chris Bennett, and several others have done that extensively and strongly disagree with your conclusions. Disagreements are to be expected in this field, no one agrees with anyone else 100%. That is what makes for a thriving research field. But to say that no one has critiqued your cladograms is simply not true. I am curious how someone else telling you two taxa that should be nested together would resolve anything. As you are well aware, each cladogram presented is a hypothesis of relationships (I say this mainly for the benefit of others who might read this and not know). Your cladograms are at odds with everyone else in the field. That by definition is telling you which species they think do not belong together. Your challenge has been more than taken up by many people. That isn’t to say you are wrong, but as such, it is incumbent upon you to convince others why you are right. It is not incumbent upon others to convince you that you are wrong. It is also not true that detractors have simply used decade old and outdated images. I took my information about your hypotheses and methodologies directly from your websites at the time I wrote the article. If that information is old and out of date, then you should update it and not blame others for using old information since you are presenting it as current. As you stated, if the methods are flawed, the conclusions will be flawed. Your methodologies for interpreting the fossils are flawed. It has been well shown by others that your methodology has resulted in incorrect coding of some characters. You developed an interesting method that I grant, has some appeal. Unfortunately, it has not stood up to scrutiny and testing. That in itself is no big deal. We all come up with ideas that are proven wrong. What matters then is not being wrong, but how we respond to it. Do we learn from it and improve our work, or do we keep beating a dead horse that will never get up and run? I implore you. You have a great deal to offer the community and the public at large. You have pulled together a truly staggering amount of valuable information on your websites that could really be of great use to many people. You have a talent for presenting information in ways that appeal to a broad audience. Don’t waste it on methods that don’t work.